Amy Gunty, PhD candidate in Family Social Science and researcher for the Institute on Community Integration. Photo supplied. 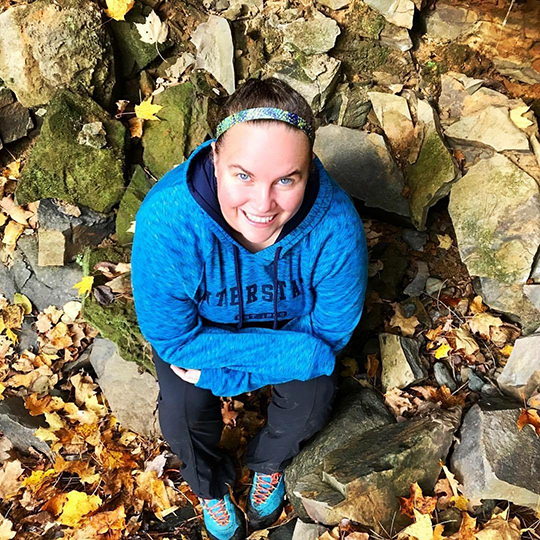 Amy Gunty, a graduate student pursuing her doctoral degree in Family Social Science, will lead two classes this summer for the University of Minnesota’s College of Continuing and Professional Studies. Gunty is the lead instructor of “Positive Psychology: The Science of Well-Being” taught over four sessions in July. This is her third time teaching the CCAPS LearningLife program course. She will also lead a session of the Encore Transitions one-day course, “Pathways to Post-career Life,” in May. Gunty’s graduate research focuses on enhancing the well-being of children with autism and their families, developing and evaluating prevention and intervention programs for families, and supporting full community integration for people with intellectual and developmental disabilities. In addition to pursuing her PhD, she is also a researcher for the UMN’s Institute on Community Integration. Teaching the benefits of positive psychology grew out of her curiosity around how different people can encounter the same situation and respond to it very differently. Her first research project as an undergraduate examined the relationship between attitudes toward life’s adversity and optimism. Gunty notes that news and social posts slant towards negativity and human deficits, and she wants to change the conversation by helping individuals recognize their strengths and build skills to engage fully with all aspects of their lives in a way that supports their greatest potential. “Positive Psychology: The Science of Well-Being” takes a long and practical view of Positive Psychology. From the CCAPS website: Through lectures, multimedia presentations, and hands-on experiments, we’ll engage in a rigorous examination of the current research in the field, and then discuss how these findings relate to our own life experiences—from triumph to adversity and everything in between. Throughout the course, participants will gain a more profound understanding of the processes that specifically support human thriving and using this as a foundation, become more adept at employing activities that researchers believe increase life satisfaction, purpose, and meaning.